UTSAV (translated in Hindi, as festival and celebration), transformed from the concert ‘Back to the Blues’, is born from the first collaboration between legendary Carnatic songstress Aruna Sairam and leading sarod artiste and composer Soumik Datta. Our concert, presented in association with Soumik Datta Arts, premiered on 15 March 2018 at St John’s Smith Square. 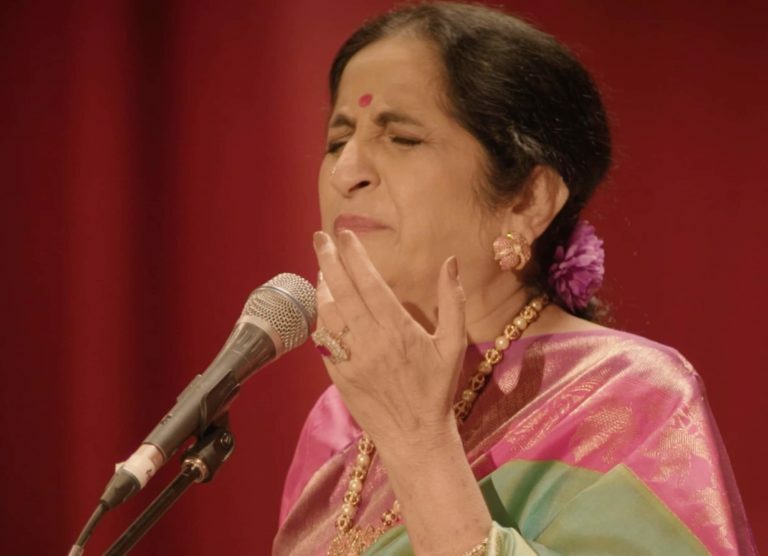 Together Aruna and Soumik, perform a suite of five festive songs which weave together Carnatic music, jazz harmony, Hindustani ragas and Sanskrit chant. Accompanying them are an astonishing trio of musicians: piano played by Al MacSween, mridangam, ghatam, morsing and kanjira by Pirashanna Thevarajah and bodhran and percussion by Cormac Byrne.